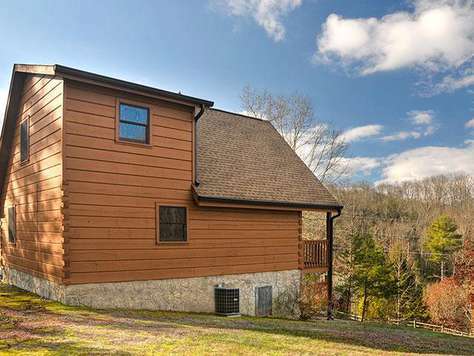 Misty Mornings is a 1 bedroom with loft bed sleeps 4 comfortable (2 queen beds). 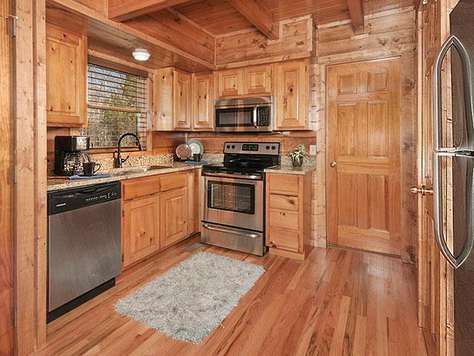 This cabin has beautiful Aspen Log furniture, fully stocked kitchen for all your needs. Real wood burning fireplace for the chilly fall & winter nights with a 60" LCD tv mounted just above. 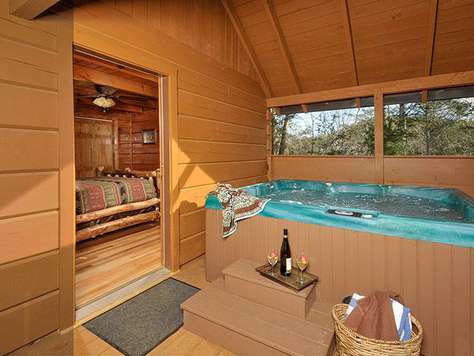 A private hot tub just outside your bedroom door for those romantic evenings. 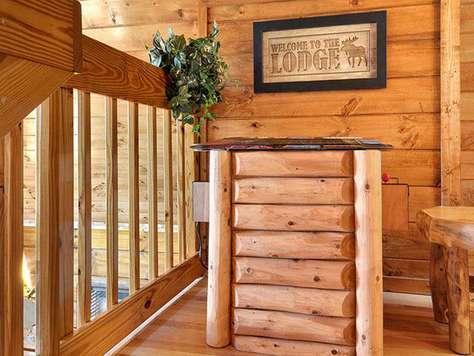 This cabin also has a video arcade game system with 60 built in games, perfect for all ages. 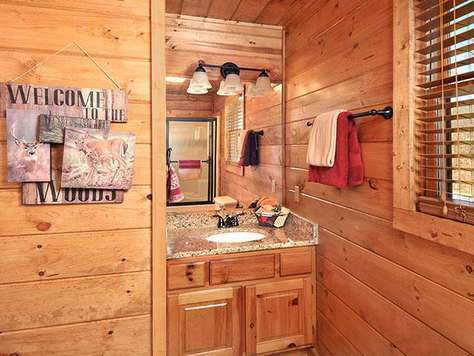 Wonderful updated cabin. Great location and parking. 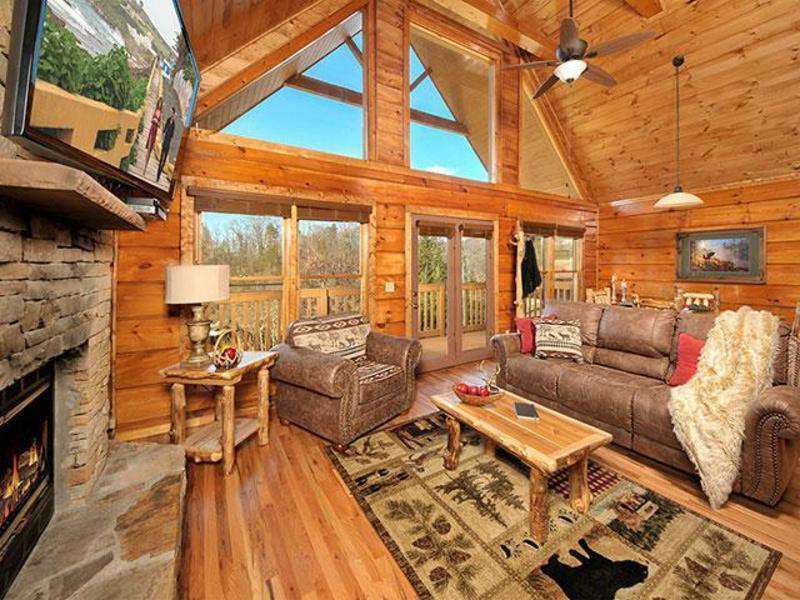 Beautiful cabin, close enough to pigeon forge but far enough away to escape town, my wife and I spent our anniversary here and had a great time, plan on coming back next year. Cabin was very simply decorated but nice. Beds were firm but sleeping was not a problem. The hot tub felt good with the cooler temps at night. There was one knob broken on it but it did not affect the tub. I also noted that the screens on the front porch were torn or bent. I would assume by looking at the tears that it was caused by the rockers being too close to the side of the cabin. Just pull them out and rock away. Resort was very quiet and peaceful. Cabin was clean and plenty spacious for us. The property itself as you enter the resort it nicely maintained and gives a good impression of the resort. 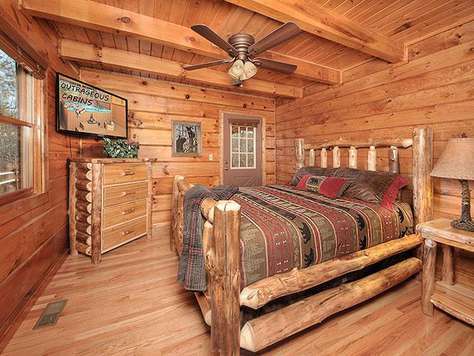 This cabin was very nice for our honeymoon. The kitchen has everything you need (except a pitcher for tea). There were plenty of towels and starter cleaning supplies. 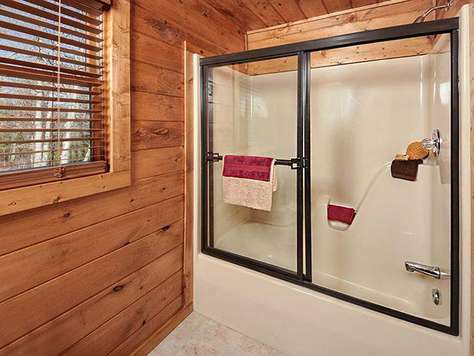 Amazing shower! 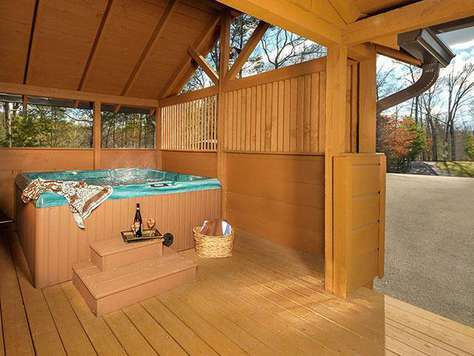 The hot tub was wonderful and there is just enough privacy. My only complaint is that the bed was not very comfortable at all. Overall, I would highly recommended it! Misty Mornings Cabin is very nice, well kept, and extremely clean. A little on the small side, but for just me and my wife it was just fine. 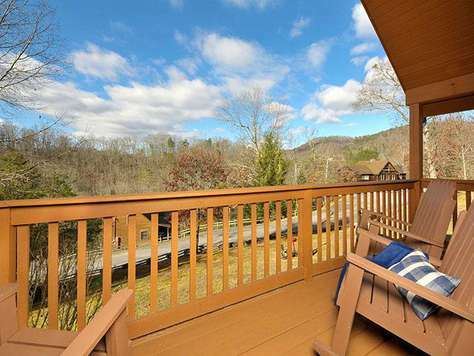 It is a quick and easy trip to get to Gatlinburg or Pigeon Forge. I was concerned at how close the other cabins were to us, but i don't recall seeing or hearing anyone around. 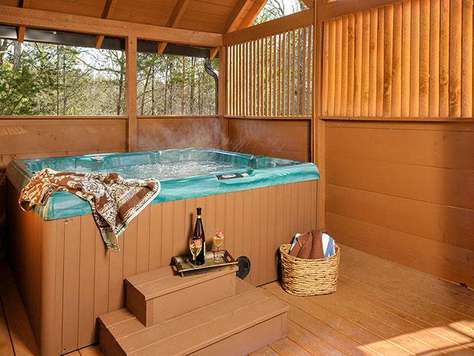 When we arrived the hot tub was not working. Called Outrageos Cabins and they had someone out literally within minutes, and within an hour it was up and going. Had a great trip and wouldn't hesitate to stay here again. The property was very clean. The only thing we would change is the mattresses were too firm. Other than that, it was perfect. 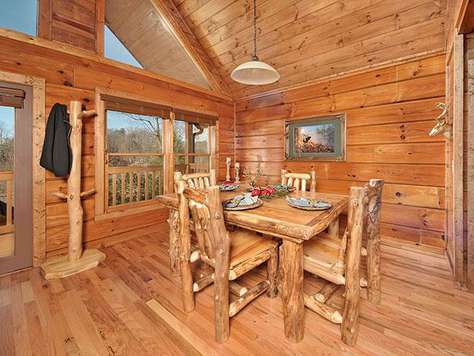 This cabin exceeded our expectations! It was perfect for my family and our long weekend getaway! 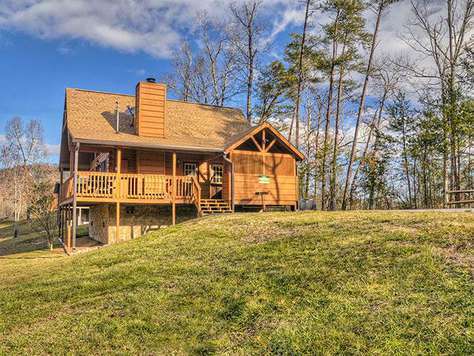 The staff was extremely nice and the property was immaculate. The roads in the resort were in great condition. They are all paved so there was no worry about getting in or out in rain or snow. Everything was so well manicured on the grounds, it was nice to go for walks. The chapel near the end of the resort is absolutely adorable. 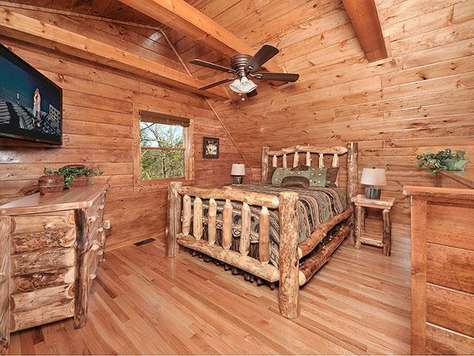 Inside the cabin you instantly feel relaxed and at home. It was cozy yet gave us enough room to spread out. 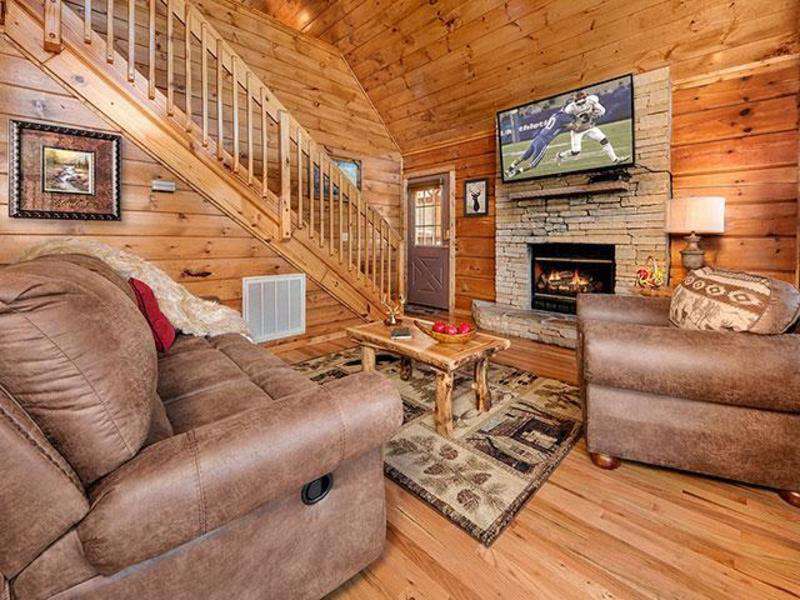 There's a flat screen in every room and a large one mounted over the fire place (if one has down time from all of the adventures outside). The games in the loft is a nice touch. Pac man, Miss Pac man, etc. 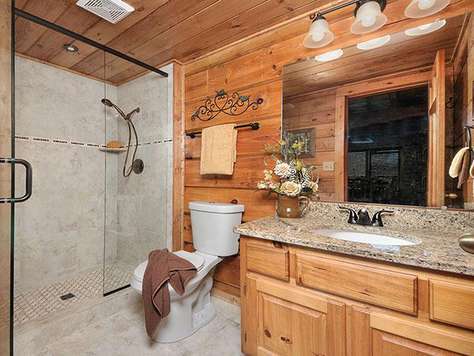 I cannot rave enough about this property. 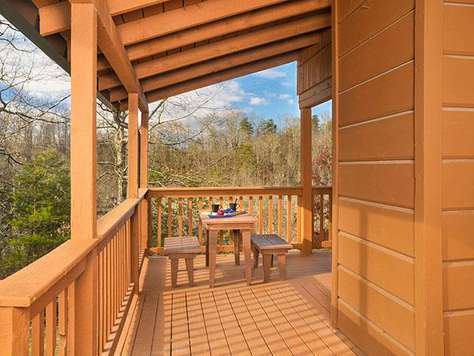 It is approximately six miles from down town Pigeon Forge. 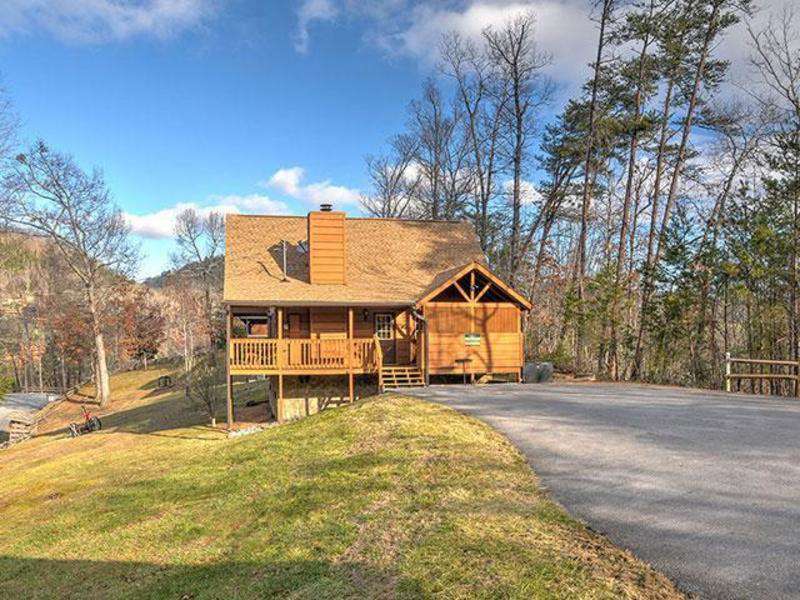 You are just far enough out to enjoy the peace and quiet, and just a short drive to all of the things this area has to offer! We truly enjoyed our stay and plan on returning! the beds were soft. the décor was beautiful. the only thing was that there was four in our group and the hot water didn't last .